Many think the Arts Centre is the striking building with the mesh roof, which looks as though a giant has pinched it and pulled it skyward. 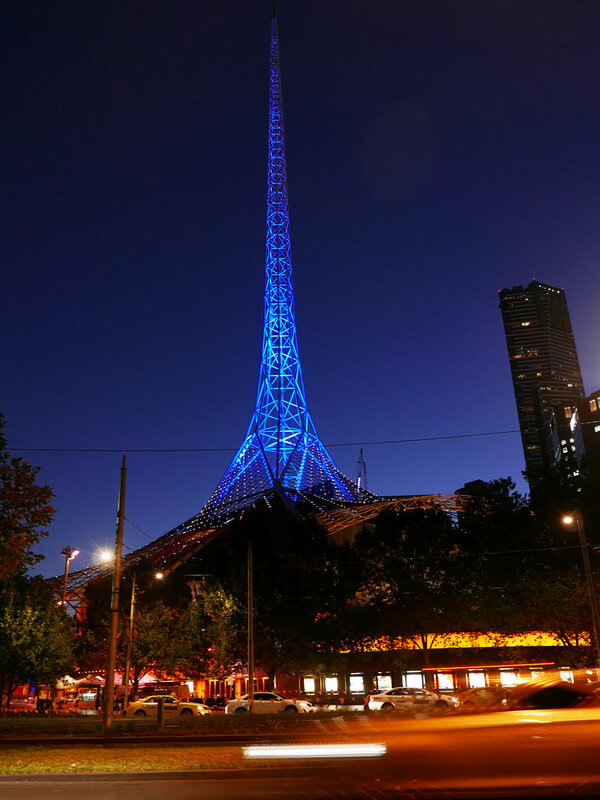 But Arts Centre Melbourne is three complexes, ranged along the ‘Arts Precinct’ on St Kilda Road, just south of the Yarra. 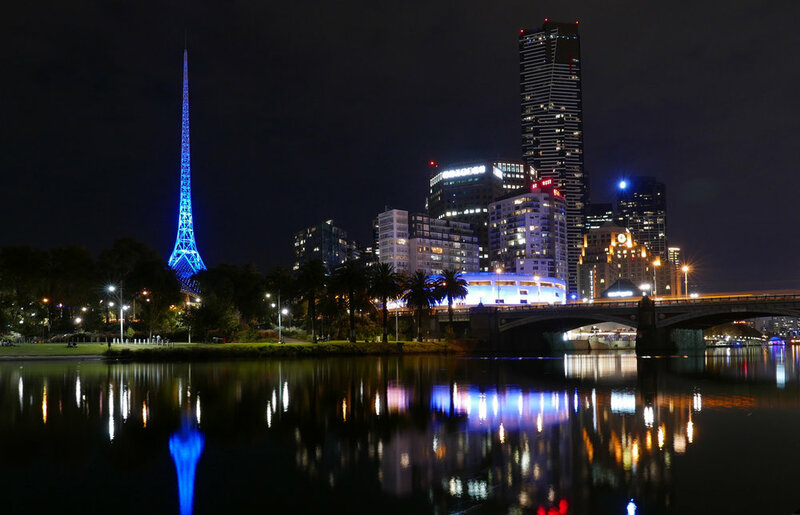 As well as the pinched spire of the Theatres Building, there is Hamer Hall on the riverfront, and the Sidney Myer Music Bowl, 10 minutes’ walk away, within garden surrounds of the Kings Domain. Together, these venues offer nearly 8000 seats, from which culture vultures can take in everything from opera and classical music to circus, comedy and magic. The precinct is within easy reach of the city. It’s one tram stop (or a pleasant roll across Princes Bridge) from Federation Square/Flinders Street Station (Trams 1, 3/3a, 5, 6, 16, 64, 67, 72. Arts Precinct, Tram stop 14 is accessible). There’s parking below the Theatres Building and a handful of disabled car parks on St Kilda Road. Hamer Hall opened in 1982, as Melbourne Concert Hall, and the Theatres Building opened two years later. Both were built on plans approved in 1960, when wheelchair access was definitely not top of mind. The open-air Sidney Myer Music bowl is even older, dating from 1959. 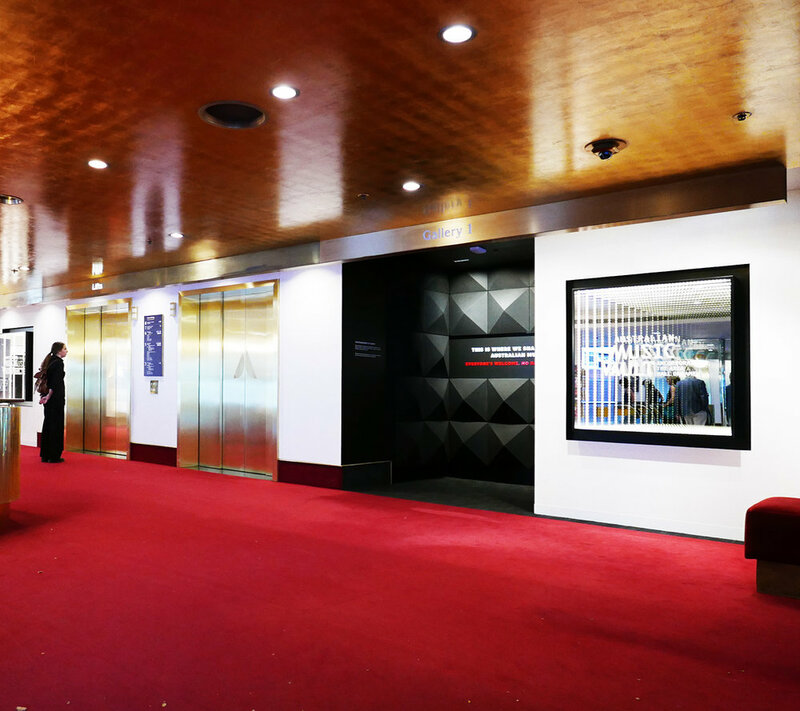 Hamer Hall underwent a year-long refurbishment and reopened in 2012; disability access was a key consideration. The Theatres Building hasn’t yet seen major upgrades, but has been adapted to offer good access. Accessible toilets are available at both venues and are signposted clearly. 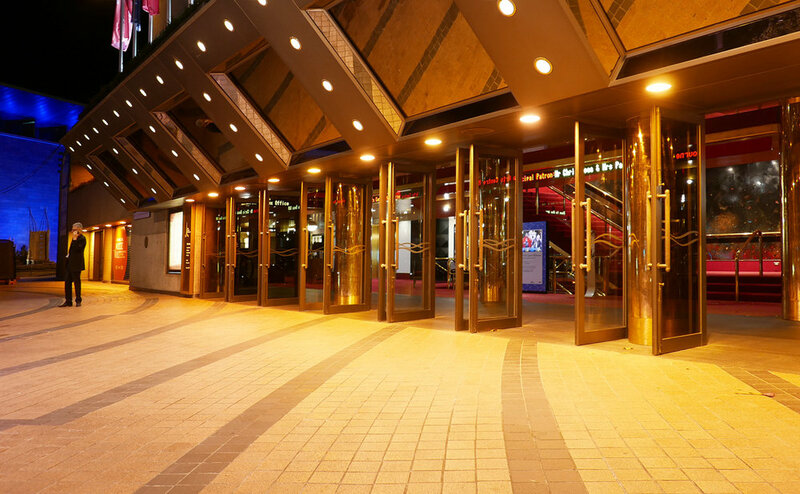 Resident companies at Arts Centre Melbourne include the Melbourne Symphony Orchestra, Australian Ballet and Opera Australia. As a result, the Arts Centre can be associated with poshness — but it has been working hard against this image, including embracing a more open, community-minded approach. Look out for its ‘tixatsix’ promotions: you can grab $30 tickets to $100 performances.